After almost 40 years experience with the building/pool industry. We pride ourselves in our attention to detail. The father/son combination offers dedicated personal on site supervision. Our permanent staff – some second generation – are fully trained in every aspect of construction from initial dig right through to hand over. 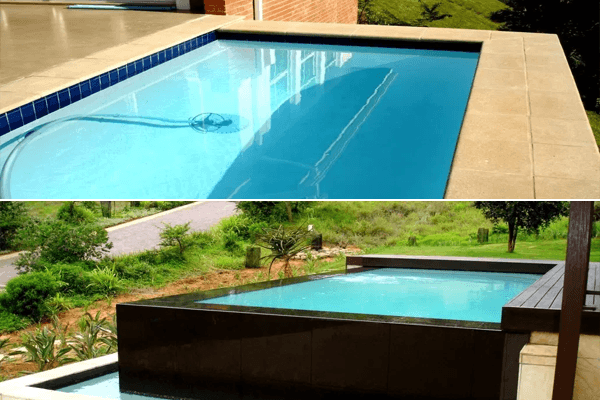 We supply a number of pool surround finishes. From purpose made tile copings to match your tiled surround, brick coping and timber decking. We are fully aware of the daily damages to our environment. As a result we only like to install eco-friendly long lasting filtration systems. Our pumps are energy saving. Filter tanks carry a lifetime manufacturers guarantee and we use “ ecoclear” 100% recycled filtration glass media. We keep abreast with the latest state of the art technology. Looking for “the wow factor”. 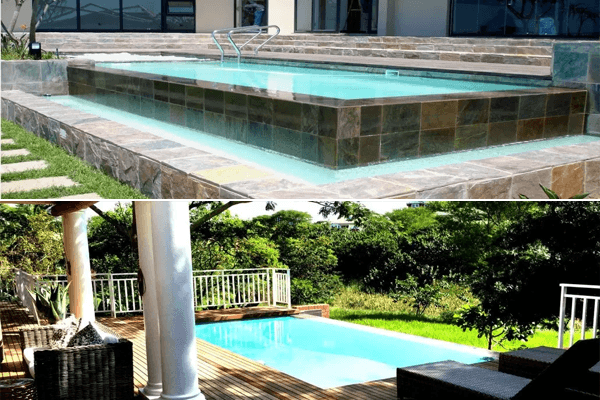 We can supply the very latest in pool automation, robotic pool cleaners, automatic pool covers, heaters and colour changing water features and lights . Super efficient variable speed or volume pumps all operated from a touch pad, your cell phone or computer. The ultimate in pool AUTOMATION. We design and build new gunite pool shells with a cage of steel reinforcing. We undertake to revamp existing pools. 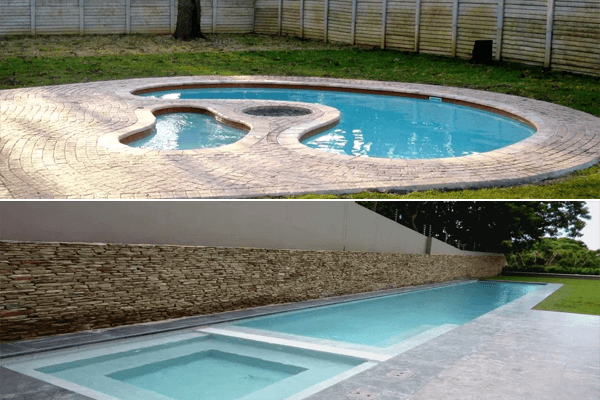 from basic replaster to new coping and scum line tiles, filtration and reticulation replacement, fibre glassing over existing marble plaster to altering the size and shape of existing pool to your requirements. 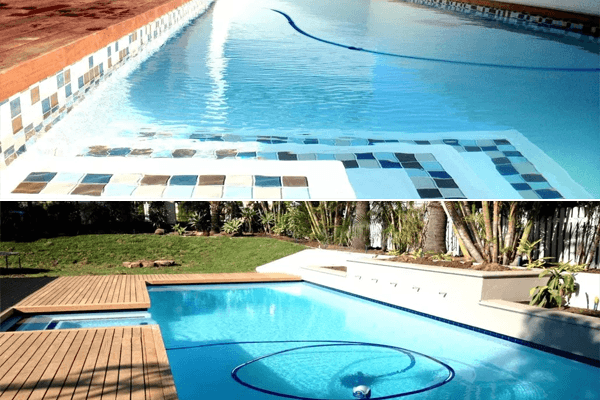 We do minor pool repairs, leak detection, filter sand replacement and motor repairs. We can lay cement or clay paving as well as repairs and replacement. 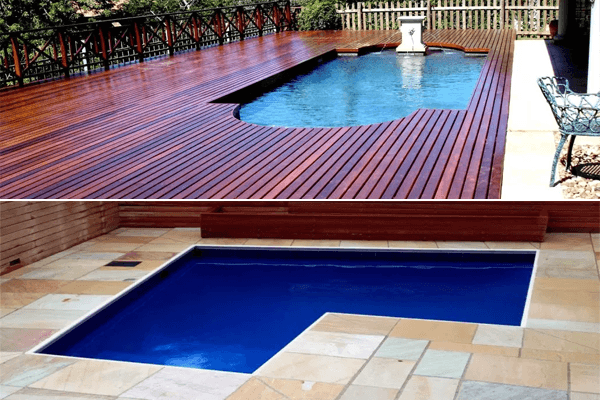 We do timber decking in a variety of different sizes and timbers. resanding and sealing of existing timber decking. 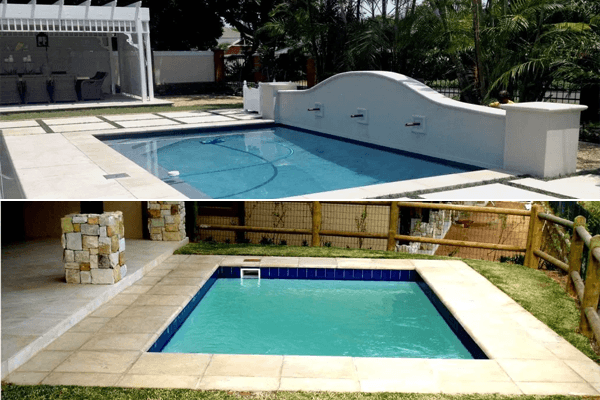 We supply and fit new pool netting custom made to your pool size and shape. We supply and fit both gas and electric heat pumps to new and existing pools and spas. We supply and fit a variety of salt chlorinators to both new and existing pools and spas. We supply and fit a number of different systems from basic light automation to full pool and garden light integration. Controlled from a keypad or cell phone. 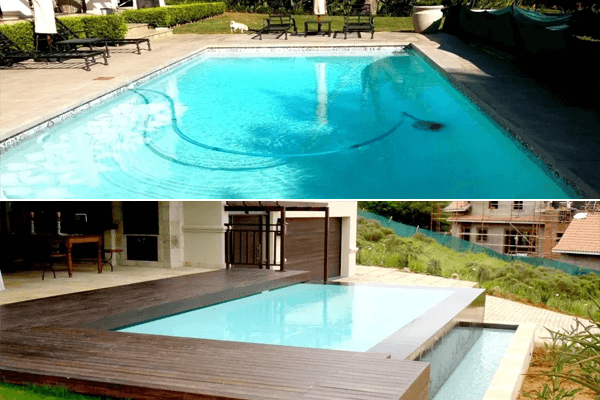 We have a range of both manual pool covers to fully automated versions. 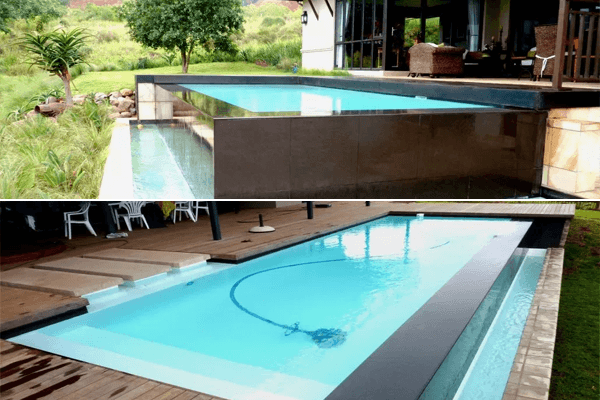 Both fitted to new and existing pools. We supply a wide range of automatic plug-in pool cleaners to fully automated robotic pool versions which operate completely independently from pool filtration.